I’m nearing the detour in my travel writing career where I’m sometimes ready to just say no—I’m hoping it’s just a temporary burnout. To weather this hiatus, I’ve released my fourth book, The Directions to Happiness, which chronicles my 135-country quest for, well, everything. Feeling homey, I now pine for moments of Americana bliss. Given the chance to write about LA, Boston, Miami, or say, Springfield, Missouri, I’d choose the latter. Well, greetings from Springfield, Missouri, a classic stopover on old Route 66 and a blues music hub in the legendary Ozark Mountains. 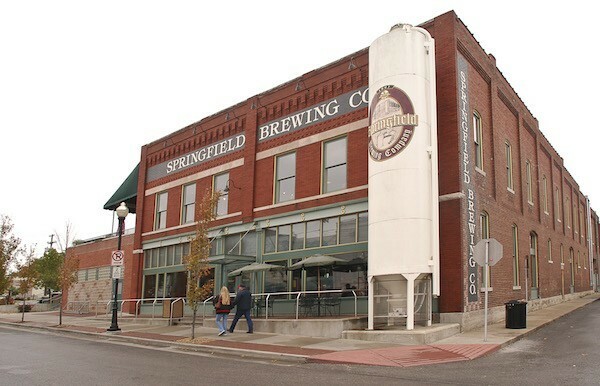 I’m pursuing Middle America’s music, food, personality, and timing—some destinations make you dig for the good stuff, but Springfield seems to be ready when you are. I’m here to tune into The Greater Ozarks Blues Festival. I’ve covered legendary music festivals—Telluride Bluegrass, Gathering of the Vibes, Woodstock II, Borneo’s Rainforest World Music—but have since tired of winding lines leading to porta-potties and cattle-style metal gate crowd control. The Greater Ozarks Blues Festival is now on my permanent hit-list; intimate, spacious, unencumbered, complete with amazing talent. This annual two-day affair (early September) allows the crowd to mingle with the acts before and after their gigs. Premiere local and regional bands are brought in by the Blues Society of the Ozarks. 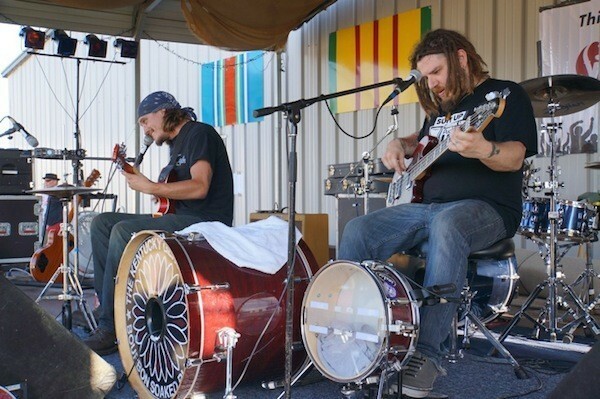 Held on the fringe of Springfield in the backyard of the American Legion Hall, this festival rounds out the fun with $3 beers and barbecue. Acts included Kentucky Gentlemen (hard blues duo of an electric guitar-playing singer and a bassist thumping a drum with his foot), the Brenda Meyer Band (take note Bonnie Raitt), and John Nemeth (classic harmonica-burning vocalist backed by a powerhouse retro blues band that can also bend toward soul or R&B). Ps, this blues storm is not a singular event. Springfield is bursting at the seams with venues that showcase the blues. Old “where you should stay advice” usually leans toward the “you’re only there to sleep” model, but I now view your snooze palace as vital to the overall travel experience. It can be all about the home base. The Ramada Oasis, on the “north side” of town, is another world set behind an otherwise generic turnpike setting—a behind-the-scenes retro world. Its 60s glam matches what Route 66 once represented to the USA: the trendy route between Chicago and Los Angeles. If James Bond visited Missouri in the 60s, this place would be his pad. 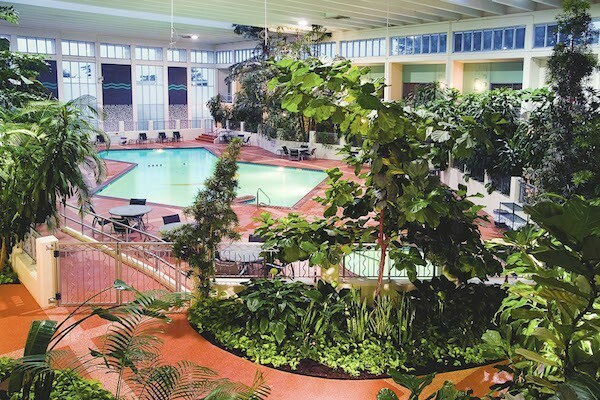 Once the most sprawling Howard Johnson’s in the land, Ramada has since resurrected the glory of this 173-room classic—whose centerpiece, bisecting two rows of rooms, is an indoor soccer-court-sized atrium with pool, Jacuzzi, and lush jungle foliage. 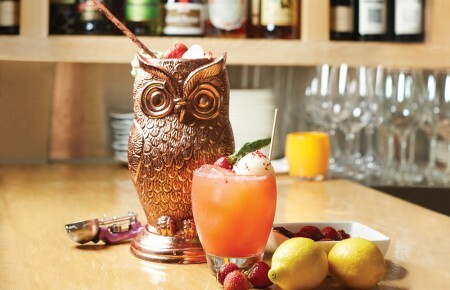 Its open-kitchen restaurant and ice bar, Fire & Ice, is the only part of the property not left to the past. Breakfast is included every morning in the atrium. It’s also a great work environment, I’ll miss the place. Brad Pitt’s hometown—rumor has it he was “a social” in high school—has many layers, including a deep-seeded music scene. I sat down with Ozark Mountain Daredevils founder Randle Chowning (one of the Daredevils enormous 70s hits was Jackie Blue). He explained how the legendary Ozark Jubilee television show (1955-60) either attracted or launched many famous acts, including Les Paul, Porter Wagner, Brenda Lee, and Chet Atkins. Springfield’s place on the then vital Route 66 meant that cross country traffic had no option but to tune in; the music makers knew this, and so did Si Siman, founder of the Ozark Jubilee. Other touristy music towns like Nashville or Memphis have lost their intimacy—Springfield is just now realizing its place in the history of American music. * Missouri Institute of Natural Science sits atop Riverbluff Cave, which was discovered on September 11, 2001. It was originally an open-ended half-mile tunnel that was sealed (and left undisturbed) by the elements 75,000 years ago. On that infamous date, a road crew was about to blow the entire area, tunnel included, for a new road, but blasting was halted nationwide. Later that day, they blew only two of the set charges by necessity, which opened up the cave again—inside they found 735,000-year-old bones of woolly mammoths, giant short-faced bears (make Grizzlies seem puny), and (gnarly) peccary pigs. 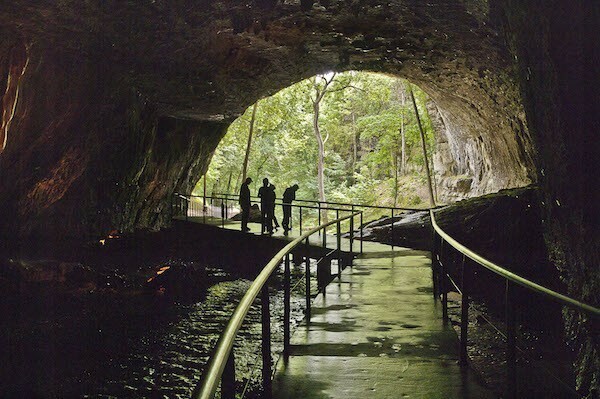 Riverbluff Cave now has the ear of New York’s Museum of Natural History, and the world. A volunteer on a mission, Brett Houser, is part of a team excavating tons of silt in the newfound otherworld to find more skeletons. He told me that it’s only a matter of time before they find something that sends the eyes of the world here, hopefully in their lifetime. As the digging continues, they are finding remains in the sediment that date a million years. Stay tuned. 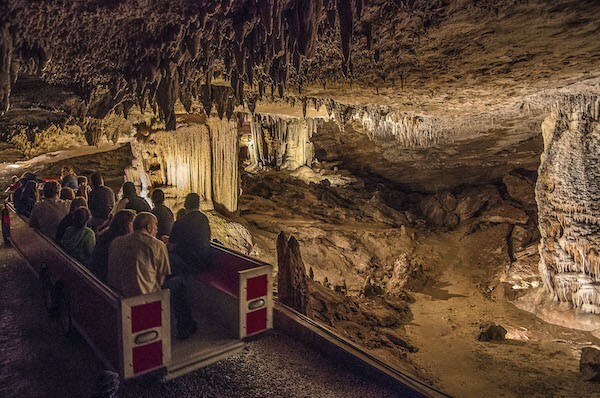 *Fantastic Caverns—my daughter has taught me to enjoy kid-friendly charms. This is one. Imagine a rollercoaster ride on a red Jeep-drawn tram into the land of stone sculptures formed by millions of years of dripping water. A former speakeasy and music venue, this underworld will make you rethink entertaining in hard times. *Smallin Civil War Cave—Missouri was the most fought over state in the Union, having more per capita casualties than any other state. This beautiful cave served as a refuge for Confederate sympathizers. Smallin’s passionate tour guides not only know Civil War history, but the tour is an entertaining millennial odyssey through the ages of all things rock. 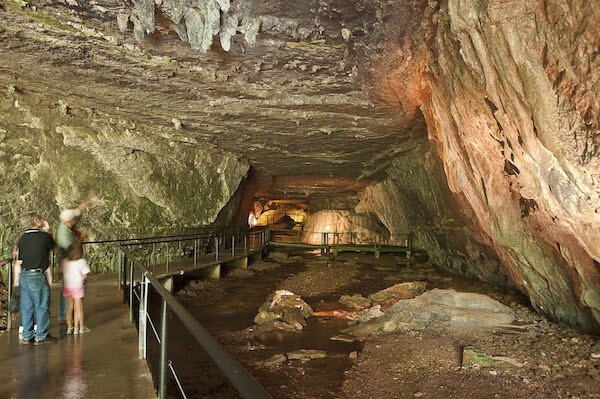 With the largest cave opening in Missouri, it was used by Native Americans, then settlers. At 54-degrees year-round, the spring flowing through the cave has always been the neighborhood fridge. Previously, as a frequent grade-school visitor to Roosevelt Field (America’s first mega-mall on lovely Long Island), I viewed the only value in such expanses as mild shoplifting and the restaurant dine-and-dash. Returning to lawful citizenry by age 16, I then avoided malls like dentists. But, I found one that people who’ve even abandoned televisions might like, even if you don’t hunt (I don’t). Bass Pro Shops “granddaddy” store and national headquarters is here. 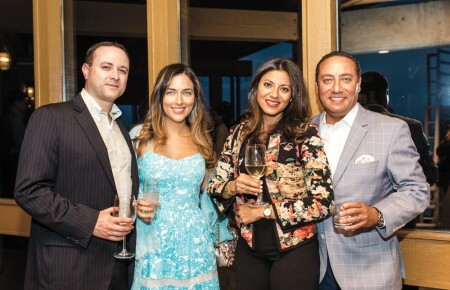 The owner, John L. Morris, is not only the wealthiest man in Missouri but also one of the more environmentally active. Sure, he peddles hunting equipment, but he also redoubles awareness for sensible conservation. Four million people visit Springfield’s Bass Pro Shops Outdoor World every year, making it Missouri’s busiest attraction. This place resembles a sprawling, multi-theatre nature atrium, but it’s all one store. Inside, their mind-bending in-house gun museum, which starts at the very beginning, is where I learned that Native Americans called rifles “thunder sticks.” Moving on, the store overflows with indoor duck and alligator ponds. Every other wall is a mammoth aquarium; the fresh water aquariums alone make a visit worthwhile. Further telling, there is no shortage of fans who choose this “mall” as their honeymoon destination. 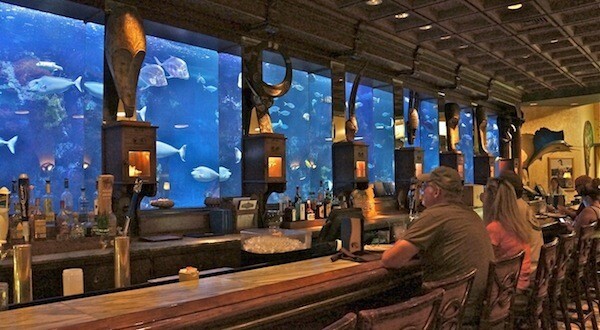 Bass Pro Shops – Hemingway’s Blue Water Café. Image Skip Kaltenheuser. Suffering tourist traps is a state of mind. So, don’t let the café in Lambert’s Café throw you. This humongous tourist megahit serves up hog jowl with cucumber and onions in the salooniest multi-room restaurant to not serve alcohol. The menu doesn’t scream health food, but the trip to this roadside attraction is worth it just to witness “throwed rolls,” where waiters literally huck tasty bread rolls at/to customers. I caught one (which actually exploded in my hand upon impact) pitched by a sidearm whiz from 40 feet away. That same waiter then waltzed up to paint the remnants of my fractured roll with molasses. Yep. On the other side of Springfield’s food scene is Leong’s Asian Diner, founded by a young Chinaman who was quickly drafted into WWII after immigrating to the US. In combat in Europe, he routinely dazzled his troopmates with his ability to render tasty meals from the ingredients of their otherwise nearly inedible rations. He later brought his recipes to Springfield and invented Springfield Style Cashew Chicken. The rest is history. My heartland luck multiplied when I got a mayoral sendoff. Springfield Mayor Robert Stephens bought me a beer at Springfield Brewing Company—which doubles as a local history museum. He then explained the deep relationship his city has with one of its sister cities, Isesaki, Japan; Springfield’s locals sent major donations to aid the nearby earthquake victims of 2011. Outside the brewery, he pointed at another form of his town’s charitable nature for their own homeless population, a retired and resurrected parking meter designed by MSU students that asked: Feed me to feed others. And that says it all. Springfield, Missouri, is not LA (Look, my cocktail is blue! ), Boston (So, ah, you’re not from he-ah? ), or Miami (Hmm, uneven tan?). A portion of the folks here might not be versed in ‘what’s happening’ on America’s salty coasts, but this true crossroads of the Heartland won’t let you down…unless, of course, you’re imagination stops short on Route’s 66’s musical pit-stop. For more information about Springfield, MO, go here.